Less than a year after Honecker’s attempted celebration of the GDR’s fortieth anniversary on 7 October 1989, the GDR had ceased to exist. 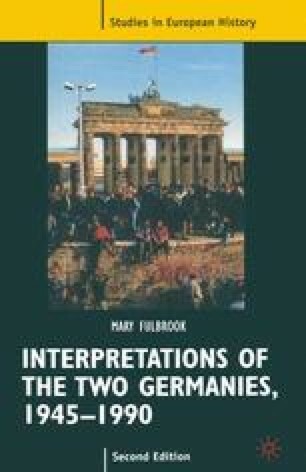 On 3 October 1990 the two Germanies were united in a new and enlarged Federal Republic. How can this extraordinarily rapid and dramatic transformation be explained?